All of the operational Boeing 787 Dreamliners in the world—50 of 'em—are now sitting on runways being prodded by men with clipboards, after a series of safety niggles caused worries for air authorities and triggered a global grounding. 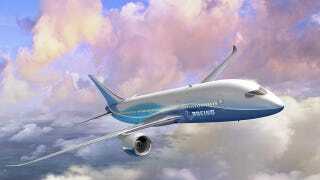 The high-tech airliner has a surprisingly low-tech Achilles' heel - its battery. The current wave of safety concerns centre around the 787′s lithium-ion power cells, which have triggered two serious fire concerns in the last couple of weeks, one leading to an emergency landing and evacuation in Japan.